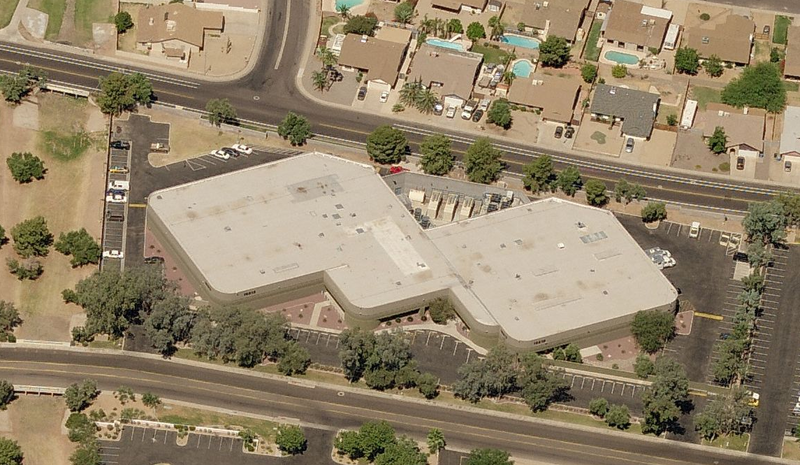 Location of the Arizona Counter Terrorism Intelligence Center. Photo from Bing Maps. Due to past examples of fusion centers vastly overstepping their original mandates, including monitoring political events, bumper sticker preferences and even constitutionally-protected protest activities, many civil-rights organizations have worked to monitor fusion centers and their activities. However, public scrutiny has proved difficult in most cases as the majority of fusion centers operate in a highly secretive manner without revealing who works for them, what government agencies they work with or what their basic capabilities are. Many lack websites or any sort of public presence and information about their activities is often unavailable from official sources. There is no national authority overseeing their activities and many fusion centers even lack basic privacy policies concerning the collection of information on law-abiding citizens. Some states have even worked to exempt fusion center activities from public records requests. In fact, the majority of fusion centers have failed to even identify their most basic attribute: their physical location. Instead, many fusion centers simply provide a mailing address that leads to a post office box or generic government building. Some fusion centers do not even provide an address. Public Intelligence has acquired a dataset that identifies the actual physical locations of nearly all of the 72 DHS-recognized fusion centers operating in the country today. The information, which includes physical addresses, phone numbers, as well as email addresses for all of the fusion centers, is believed to have been compiled and distributed throughout the Homeland Security Information Network, a government information portal for “information sharing and collaboration between federal, state, local, tribal, territorial, private sector, and international partners engaged in the homeland security mission.” Given the incomplete nature of information distributed previously by EPIC, the ACLU, and other groups attempting to document fusion center activities, this information is of great importance for working towards transparency in an area of domestic surveillance that remains largely unreported.